Obtain the mount "Moon Child" in Empire Mode and save your game. Obtain the mount "Persian Mare" in Empire Mode and save your game. Obtain the mount "Matsukaze" in Empire Mode and save your game. Obtain a level 4 weapon in Empire Mode and save your game. In Empire Mode, play the special stage "Battle of Kawanakajima" and save your game. In Empire Mode, play the special stage "Battle of Anegawa" and save your game. In Empire Mode, play the special stage "Incident at Honnoji" and save your game. 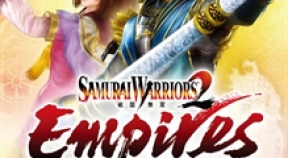 In Empire Mode, play the special stage "Battle of Sekigahara" and save your game. In Empire Mode, play the special stage "Osaka Campaign" and save your game. Unlock the scenario "Battle of Anegawa" and save your game. Unlock the scenario "Incident at Honnoji" and save your game. Unlock the scenario "Battle of Sekigahara" and save your game.